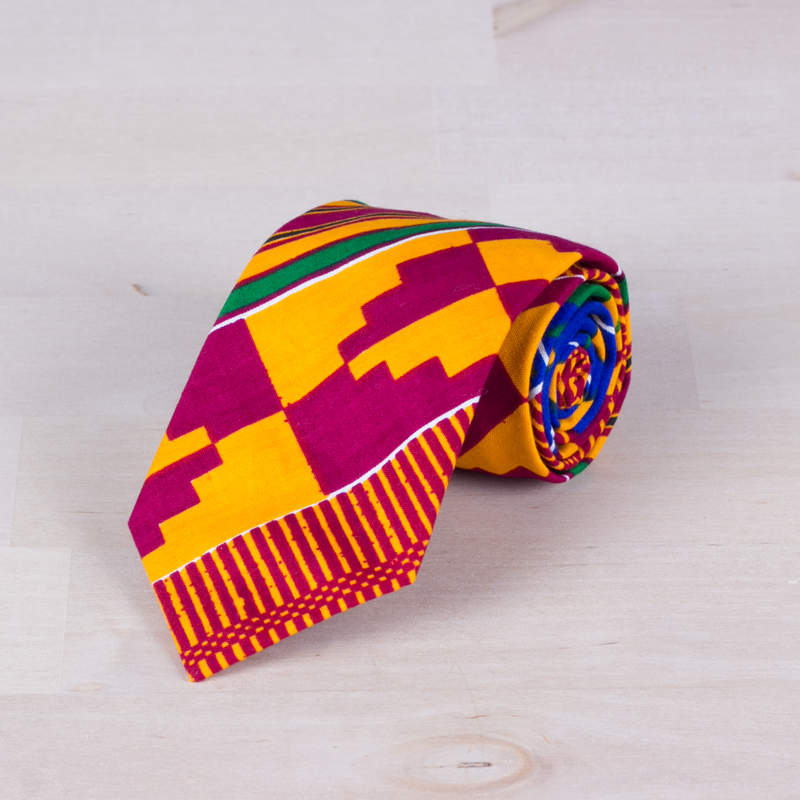 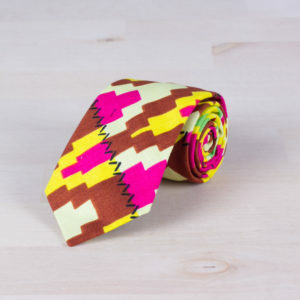 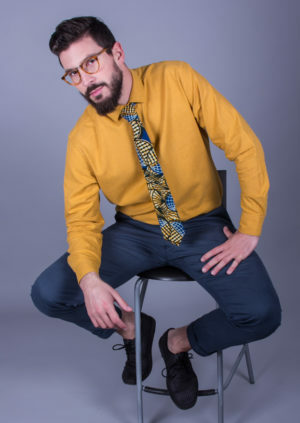 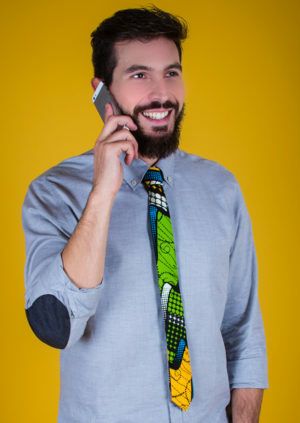 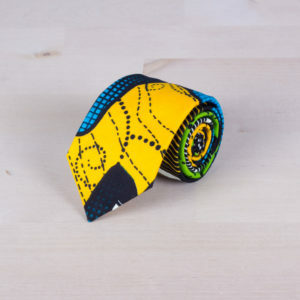 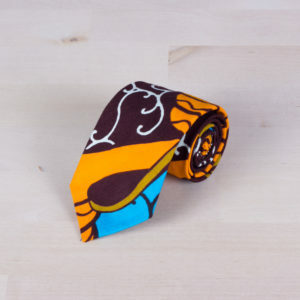 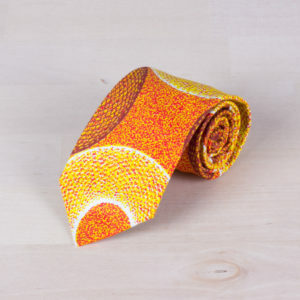 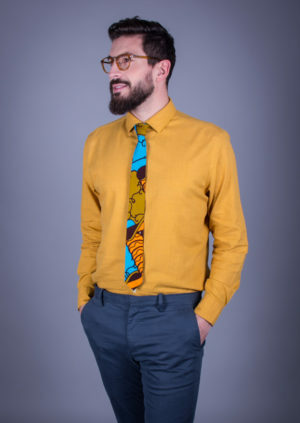 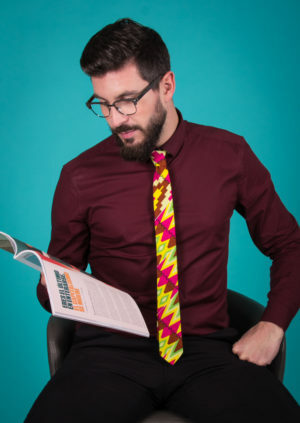 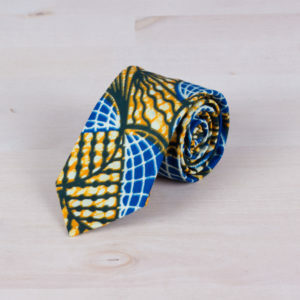 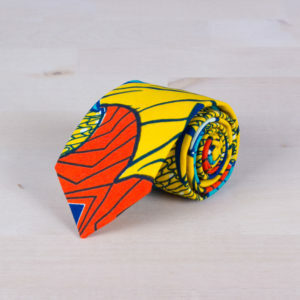 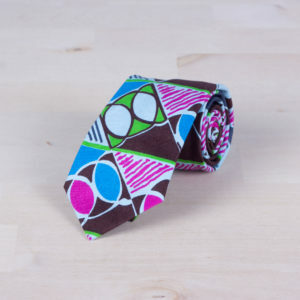 Tie manufactured in the traditional Kente geometric pattern. 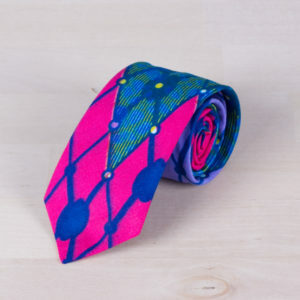 Shades in blue, yellow, green and fuchsia. 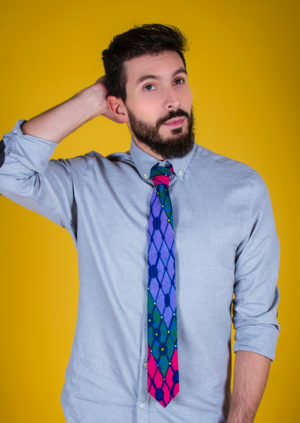 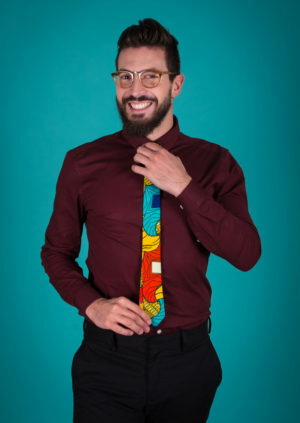 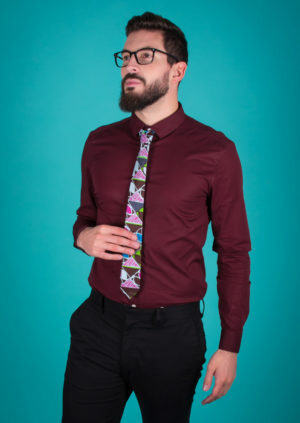 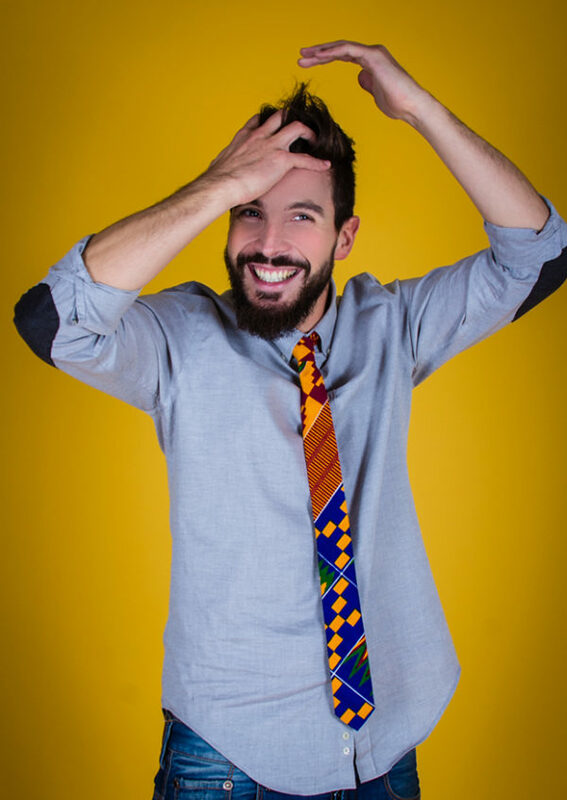 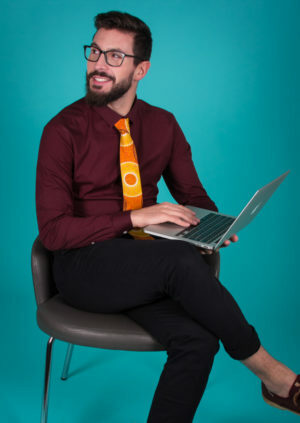 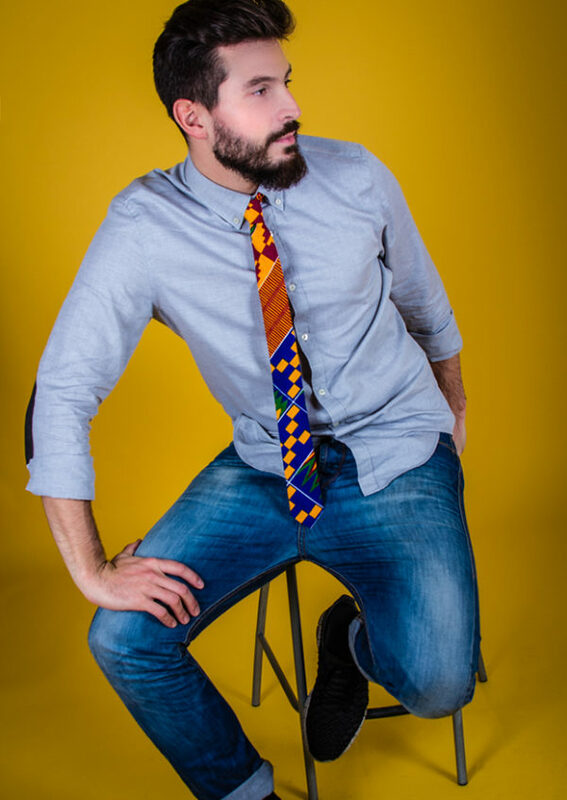 Sergi wears a Skinny Tie.